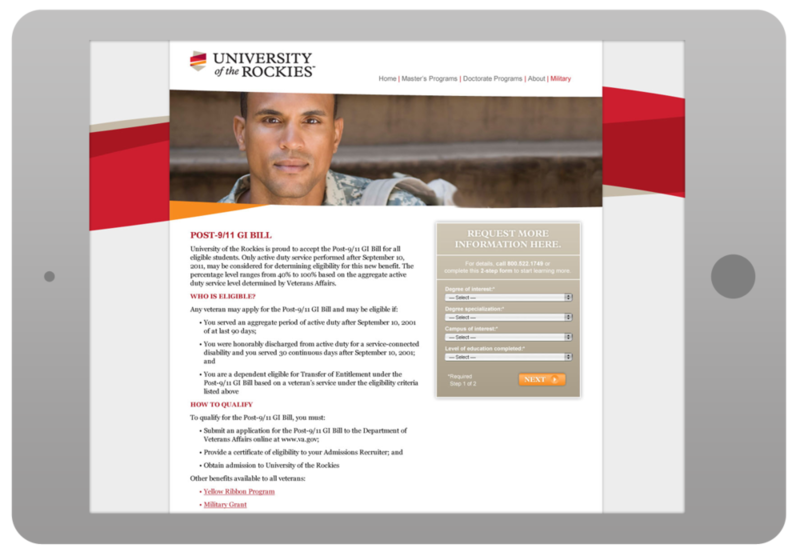 University of the Rockies is a leading graduate school of the social and behavioral sciences also offering programs to military personnel and their family members. 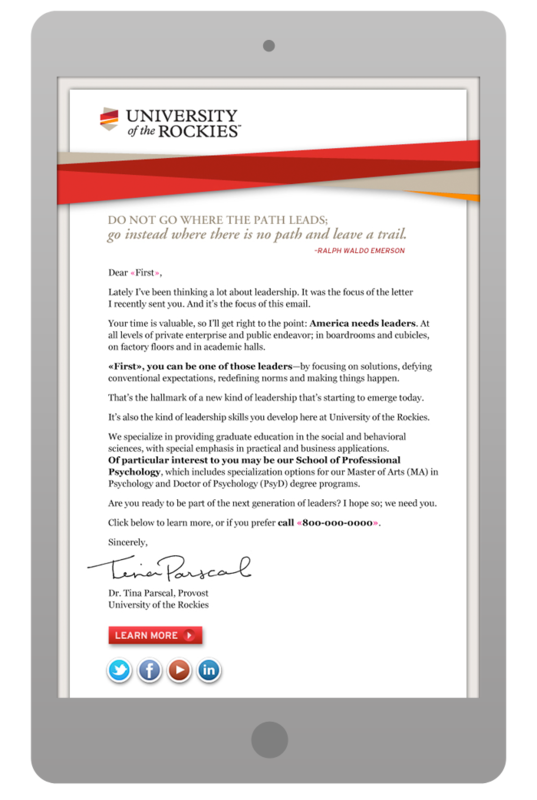 Students can earn their graduate degree online or in their Denver, Colorado campus. Client work was completed as the Art Director of Datamark in downtown Salt Lake City in 2012. 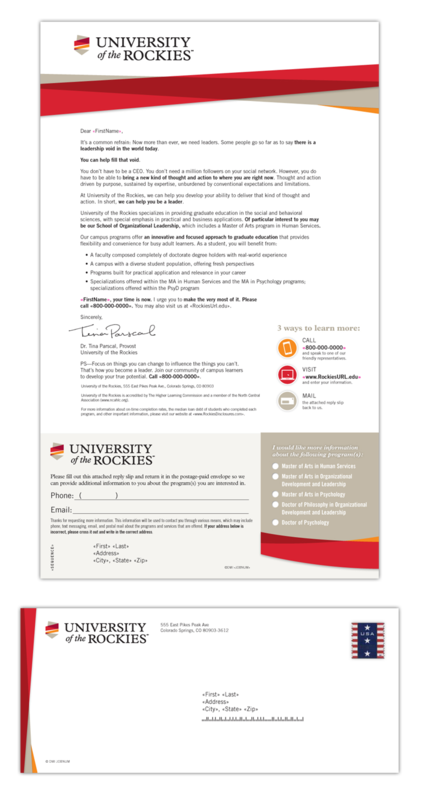 University of the Rockies projects included: Brand Management, A/B Testing, Direct Mail, Lead Generation Landing Pages, Mobile Sites, Banner Ads, Email Campaigns, and Radio Spots.